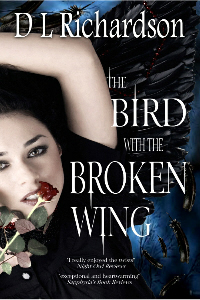 During a recent Read 4 Review campaign, administered through Goodreads group We Heart YA, I announced that at the end of the campaign I would do a giveaway of the print version of the book they reviewed The Bird With The Broken Wing. The winner is Jenn. She has been awarded a print copy. Here's how I got the winner. I wrote the names of everyone who reviewed the book on a slip of paper. I then tossed these names (blindly) at a bowl. 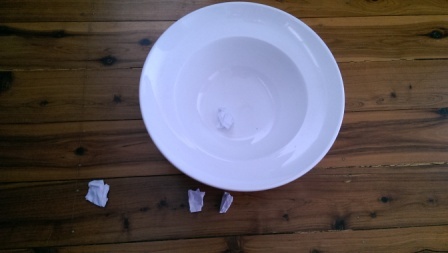 Discarded any bits of paper than didn't hit the inside of the bowl. 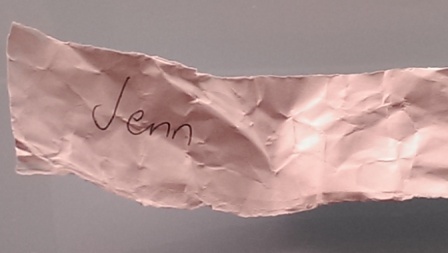 There were 4 names which I thin tossed (blindly) at the bowl and only one name made it inside. Ta da. The winner is Jenn. The only reason it took me a while to read this book is because I moved from Davenport, IA to Tacoma, WA for a job. Now that I've finally had some downtime to myself (I happened to get sick on my second weekend here) I've decided to finish it. Well holy schticks. I have no idea what all I actually read. There was this major twist that I should've seen coming but didn't because I thought it was going a different way. I did end up liking this book after the halfway mark as its around then that it started to make sense to me. I would go into detail about it but that would kind of ruin the book if you know what I mean. It was only 161 pages (on the Kindle that is). More like a novella. Here is a link to the reviews on Goodreads and the group, if anyone likes reading and reviewing books you can join one of many Goodreads groups and participate. 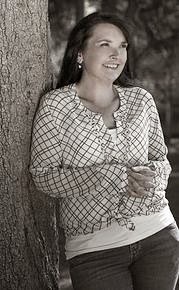 This is my second time as an author using a R4R campaign through Goodreads and it is a great way to meet new readers. For readers this is a great way to get advance copies of books or free ebools to read. You must commit to reading and reviewing but most of us, authors included, don't mind telling everyone about a book if we like it. Congratulations to Jenn and thanks to everyone who participating and enjoyed reading The Bird With The Broken Wing.